Confused by all the venues you are considering? We can help you find just the right place. Forged from the former St. Patrick’s Church, this quintessential masterpiece boasts nearly 15,000 square feet of space, soaring 55-foot ceilings upheld by stately columns, and several restored 125-year-old stained glass windows. Offering a picturesque setting and a luxury balcony lounge overlooking the magnificent Reception Hall, the Agora Grand is the ideal venue for your elegant wedding, celebration, or meeting. Our All-in-One packages include the gorgeous on-site chapel, rentals (tables, chairs, and dance floor), state-of-the-art A/V system, and customizable lighting. At 220 feet to the top of the taller tower, this incredible building has remained Maine’s tallest structure for over a century, as well as one of its stateliest, most awe-inspiring, and best preserved. This historic homestead in Waterford, Maine, has been lovingly restored and updated for generations to come. Through their own memories, love and commitment, owners Brian and Julie Sullivan are actively taking stewardship of the lakefront to make Bear Mountain as genuine and authentic of an experience as possible. The perfect blend of history and modern convenience, Bear Mountain is more than just an Inn, it’s an experience. Stroll along the lakefront as the mist rises each morning or curl up by a roaring fire with a good book. Perfectly situated in Waterford, Southern Maine’s gateway to the White Mountains, Bear Mountain offers 11 beautifully renovated and creatively curated guest rooms and suites, which includes, one freestanding cottage and a post and beam rental. 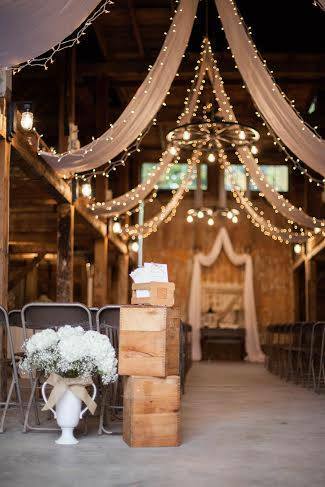 With gorgeous chandeliers, the newly renovated, rustic yet chic barn is the perfect combination of the romantic country with stylish charm. 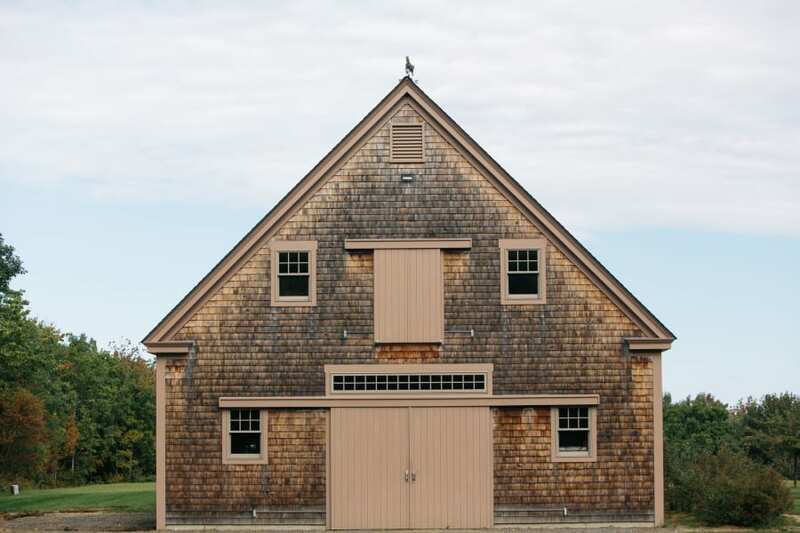 Ideal for weddings, corporate retreats, groups and more, The Barn is welcoming and comfortable for Southern Maine events and occasions of all types and sizes. 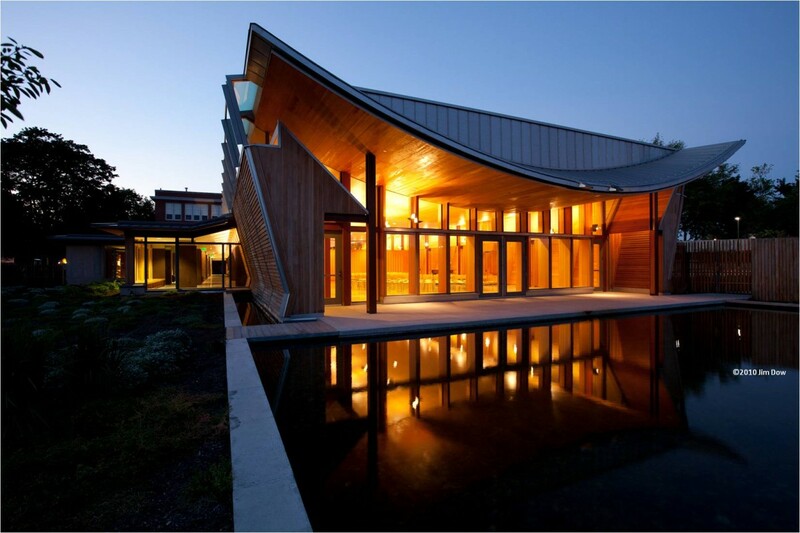 The magnificent Event Barn can accommodate 240 standing room and 140 for a seated dinner. The Country House can accommodate up to 12 guests and there are local amenities in the near-by village of Wiscasset and the cities of Gardiner, Hallowell, and Augusta. Some of the additional property features include a pool with a sculpted breath-taking view, a retro-modern stone firepit, and of course, the panorama view of Maine countryside. 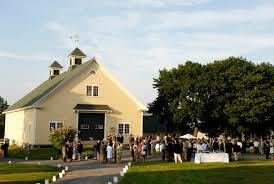 Beech Ridge Barn is a full service venue for events and weddings located in Southern Maine. The property is less than 10 minutes from the airport (PWM) and only a few miles from over 5 different beaches and plenty of great hotels. The Property has multiple ceremony sites and the Barn can accommodate up to 225 guests. We have plenty of gorgeous apple trees and gardens of fresh flowers that we sell at our farm stand. Parking is onsite and the house is available for rent from Wednesday-Sunday. We want to make your special event more than you ever hoped for. The Camden Yacht Club facility has served the boating community since the early 1900’s. 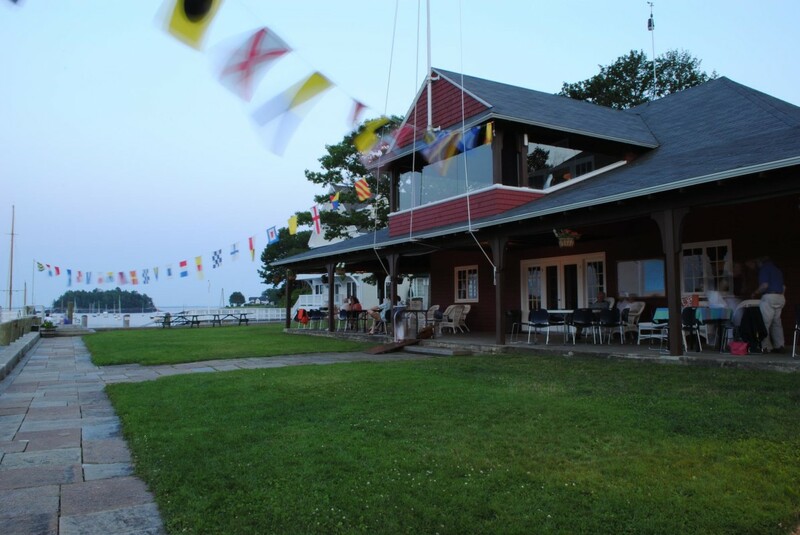 Located at the entrance to Camden’s inner harbor on the western side of Penobscot Bay, the Camden Yacht Club (CYC) is a vibrant, family oriented club. Follow the scenic, winding road through the woods and you will fall in love with our brand new dining hall! Available for weddings, corporate retreats and private parties, our hall can accommodate up to 300 guests. Camp Hinds is a private 300 plus acre property used by the Boys Scouts of America and is now available to the public for the first time in over 90 years thanks to the Pine Tree Council. 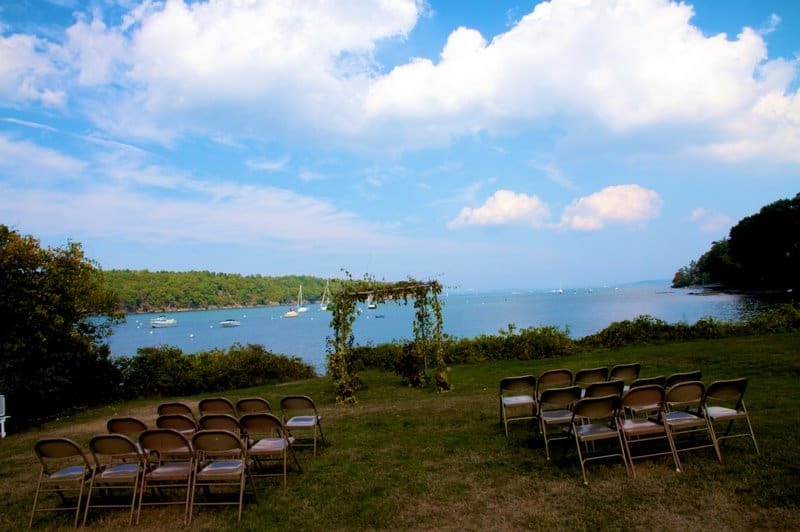 Beautiful Camp Ketcha in Scarborough, ME is available year-round with open spaces which allow you to create an event as elegant or as casual as you want it to be. 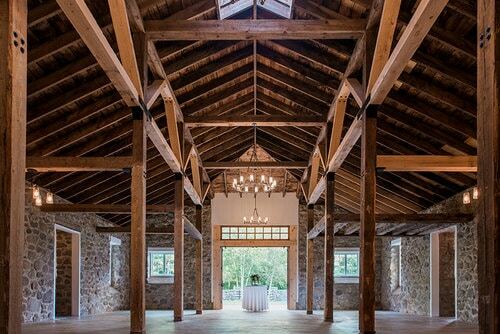 Ideal for an intimate party, large wedding receptions, or anything in between, Camp Ketcha offers a Great Room featuring 30′ ceilings, a large stone fireplace, and space for seating for up to 150 guests. The adjoining conference room is perfect for a pre-reception cocktail hour. The adjacent grounds offer an outdoor pavilion with space for 130, and an outdoor stage for music and dancing. 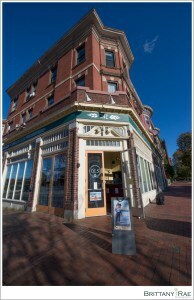 Call Blue Elephant for more information about this great space! 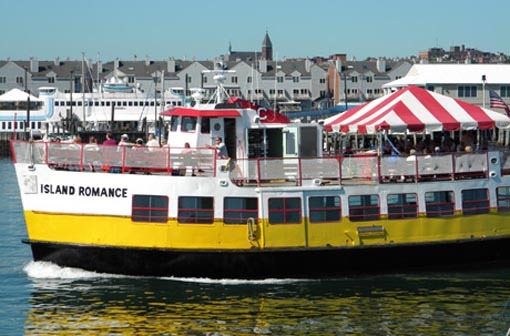 Whether you are a bride, a school teacher, or a tour director, Casco Bay Lines is the way for your group to go! For transportation to an island or a scenic cruise around Casco Bay, you have a choice: you can go by our regularly scheduled service, or charter one of our boats for your own private ride. This privately owned 45 acre farm is nestled on a quiet country road. Three grassy fields surrounded by beautiful hedgerows which stretch out beyond our 300 year old barn. Beautiful flower gardens provide unlimited photo opportunities! Family owned and operated for three generations, Caswell Farm offers a refreshing change from the average banquet facility. 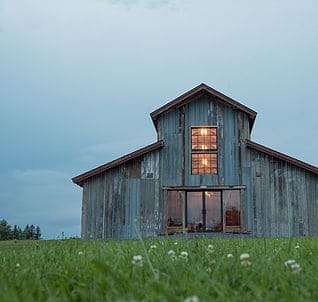 The farm’s unique ambiance is full of personality and warm country charm, which makes it the perfect setting for you and your guests to enjoy your ‘Country Wedding’. Nestled away on the western side of the Bristol Peninsula in Midcoast Maine, Clark’s Cove Farm and Inn is an 81 acre estate with 30 acres of groomed, rolling meadows and lawns, flowing perennial gardens, 45 acres of woods complete with trails, a six acre, 500 tree apple orchard and 700 feet of fresh water frontage. It is said by many to be the pastoral jewel of Midcoast Maine. Seated upon a ridge, a 1790 Federal style home and a circa 1860’s barn complete with an 840 square foot deck command a breathtaking vista reminiscent of a Hudson period painting. The old cider mill in the barn has been refitted into two tastefully appointed apartments complete with all the amenities required for a peaceful retreat and may be rented by the night or by the week. 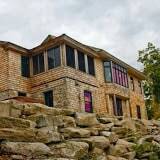 Make Cliffside Lodge the place for your upcoming wedding reception, family gathering, or corporate retreat! With space accommodating up to 125 guests, Cliffside Lodge offers elegantly rustic, secluded event spaces, as well as overnight accommodations for up to 20 guests. Towering pines, dramatic rock outcroppings, and a view of secluded Worthley Pond create an atmosphere for Cliffside Lodge that is both tranquil and invigorating. The lodge itself features generous porches suitable for outdoor receptions, quiet collaboration or just gazing at the stars. Located just 45 minutes from Portland, Cliffside Lodge could be the perfect spot for your upcoming event. Congregation Bet Ha’am offers a unique meeting facility for both individuals and corporate events. We provide the highest level of customer service when planning your ceremony, party, fundraiser, retreat, program, or other event. Our onsite meeting planners look forward to welcoming you and your group to Congregation Bet Ha’am. Please contact us to schedule a tour and to discuss your event. 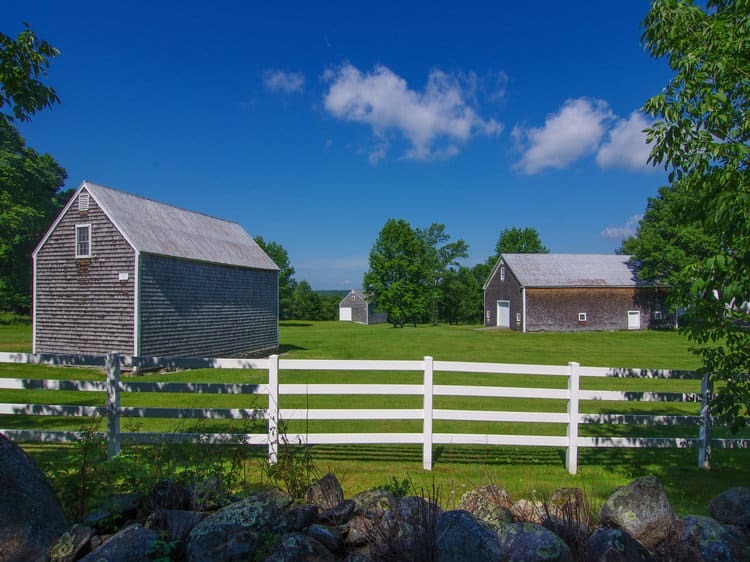 Cunningham Farm (circa 1877) is set in picturesque New Gloucester, Maine. 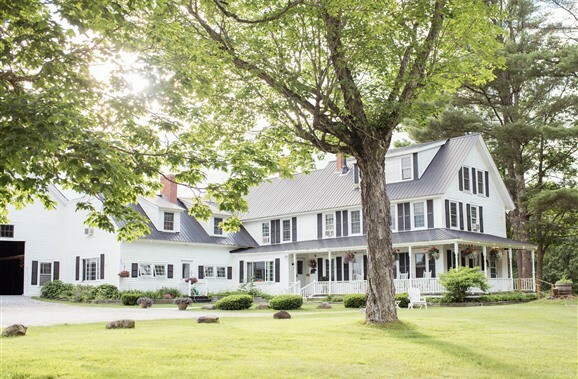 With 90+ acres of land that includes three barns, a farmhouse, a pond, a river, a meandering brook, rock walls, and a tree farm – complete with a white farm fence – there couldn’t be a more beautiful property to serve as a backdrop to your “Maine” event! The desire is to share this scenic, historic property with others who find true charm in its beauty. Three barns and tented sites are available with the weekend rental, giving you the opportunity to pick and choose what will best fit your needs. We not only know, but we appreciate that not every bride is the same, and we want this one-of-a-kind property to be the blank slate for the one-of-a-kind wedding of your dreams! Part of the Kennebunkport Conservation Trust, Emmons Preserve is located in Kennebunkport, Maine. This intimate outdoor setting is large and airy and hidden behind walls of beautiful mature trees. The new facility offers cozy space for smaller parties, with a large stone fireplace, new restroom and kitchen facilities, and ample parking. One of Portland’s most significant historic and architectural gems, First Parish Church is a vibrant, active faith community. 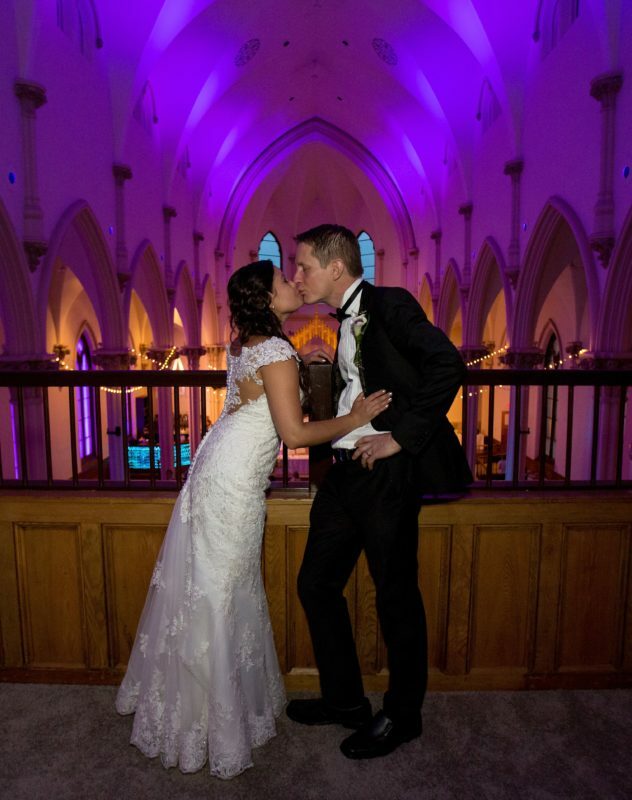 The Church offers a variety of ceremony and event options: The Meeting House holds more than 700 people and the adjoining Parish House next door is a delightful alternative for more intimate ceremonies and holds around 100 people. 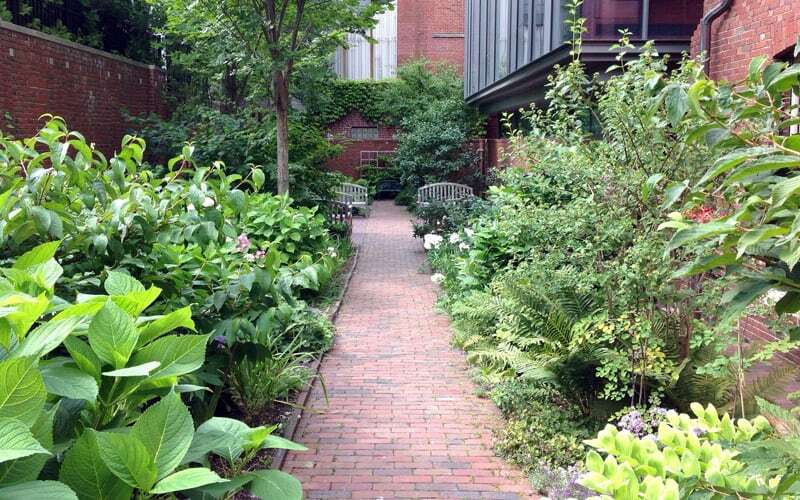 The beautiful outdoor garden offers a quiet and intimate ceremony space just steps off of Congress Street. 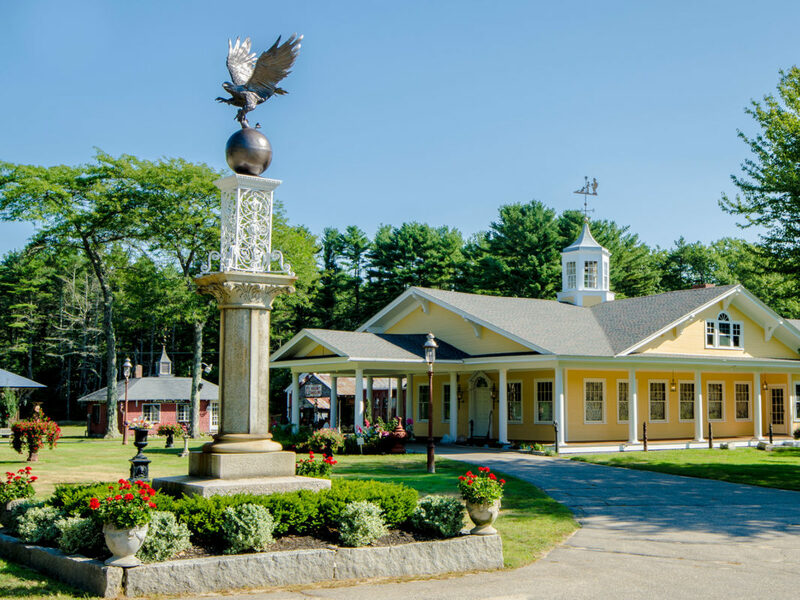 Located in Scarborough Maine, this beautiful 16 acre event property features a picture perfect field, spacious and beautifully finished barn, and a private wooded ceremony space with gazebo. The farm can also provide seasonal potted plants, straw/ hay bales, rustic wooden benches, event grill and many other farm/ outdoor additions to make your event perfect. 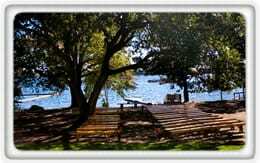 If you are looking for one of the best waterfront wedding venues in Maine, you’ve come to the right place. 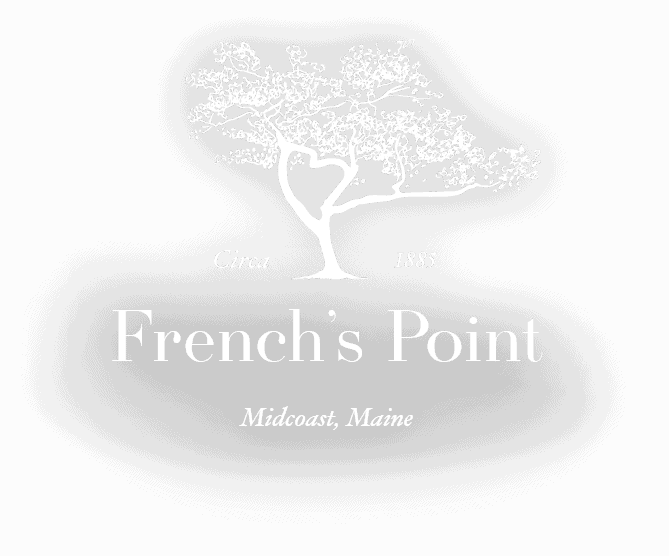 Set on a peninsula overlooking the Penobscot Bay in Maine, French’s Point offers a year-round vacation rental property with two beautiful homes available for private gatherings, milestone celebrations, and weddings. With beautifully landscaped grounds, stunning views, a variety of gorgeous gathering spaces, and an incredible array of amenities, we offer our guests the opportunity to create memorable experiences with their loved ones in uncompromised privacy here on the coast of Maine. 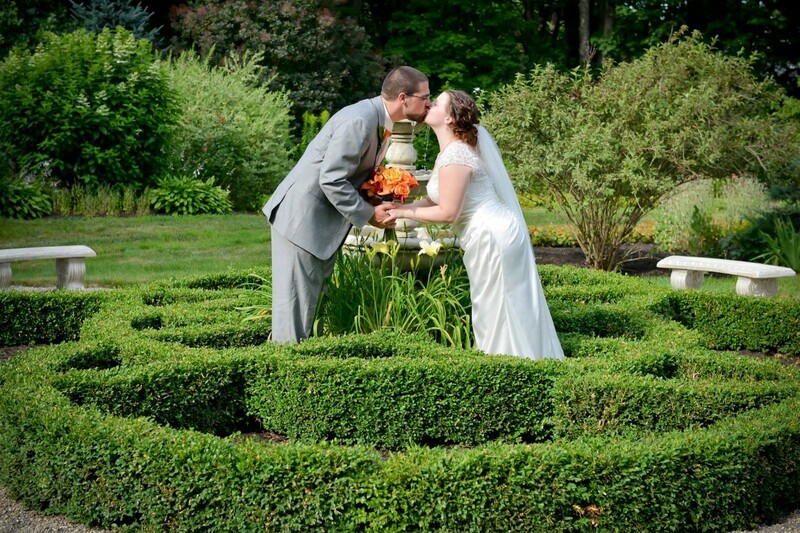 Originally built as a working farm c. 1817, Garden Gate at Haley Farm is a unique location for couples looking to celebrate in all the beauty western Maine has to offer. Whether you grew up in Maine, spent your summers on Sebago Lake, or are looking for a rustic setting for your destination wedding, Garden Gate creates the perfect backdrop encompassing rural New England charm at its finest. 70 wooded acres are surrounded by stone walls and include a barn, adjacent lawn, an open pasture, a wooded ceremony site, gardens, and 100 year old maple trees. We look forward to having the first day of your new journey together become a part of our history. 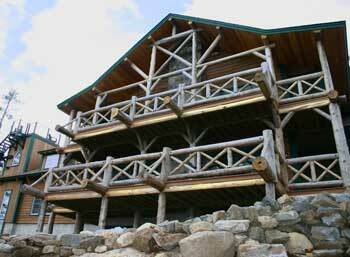 Granite Ridge Estate & Barn is an exquisite timber frame estate lodge combined with a 3,500 sq. ft. timber frame Maine barn that showcases rustic luxury at its finest with unparalleled mountain views. Built atop a 1000 ft. ridge and 128 acres, Granite Ridge offers guests their own private mountain. The barn features timber frame construction, wall of windows; a fire pit; deck for cocktails; and, breathtaking panoramic views. Highlander’s Garden is an experienced landscape design company with a turn of the century New England farmhouse located in the heart of Saco, Maine. Offering unique and secluded garden spaces for small intimate ceremonies to large events for hundreds, the facility is the perfect location for your next special event. 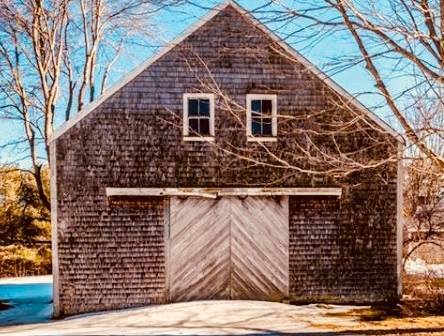 The Hitching Post is an idyllic New England barn built in 1830 and situated on 100 acres along the Saco River in Dayton, Maine. Ceremonies can be held outdoors overlooking the rolling fields and beautiful pastures. There is seating for 120 guests with rustic barn board tables and beautiful chiavari chairs. 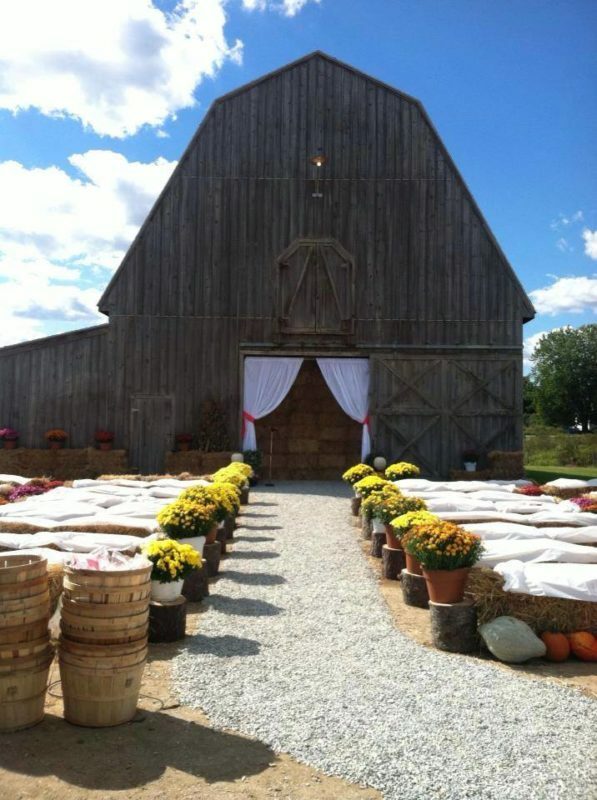 It is the perfect quiet country setting for the barn wedding of your dreams! Imagine your wedding guests boarding a private ferry and taking a short ride across Casco Bay to your wedding weekend on private House Island. This 12 acre retreat offers panoramic scenic views of surrounding islands, sail boats, lobstermen and maritime boats of all kinds… Hosting 5 private beaches, trails, prayer garden, butterfly garden, and a 10,000 sq.ft. playground with cricket, volleyball, badminton, horseshoes bocce…and of course a few kayaks for your own ride on Casco Bay. Amenities include 3 beautifully appointed private cottages (Christina’s World, Cappy’s Lodge, and Sunshine Cottage) with accommodations for more than 30 overnight guests, private beaches (including beach towels and chairs), 375 foot dock, a 10,000 square foot artificial turf athletic and play area, and golf carts for those needing assistance. A truly one of a kind and uniquely Maine experience! 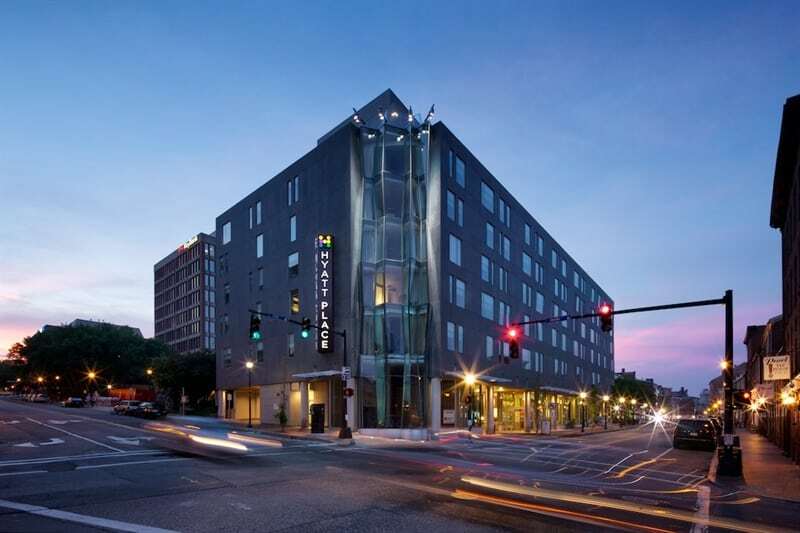 The Hyatt Place Portland-Old Port hotel has the ideal meeting space for small corporate or executive meetings and training classes. State of the art technology with a dedicated meeting host provided to facilitate your event. Let our experienced associates ensure everything goes the way you want, so you can focus on making great happen. The Inn at Pinnacle Mountain is a new four season luxury mountain top destination. 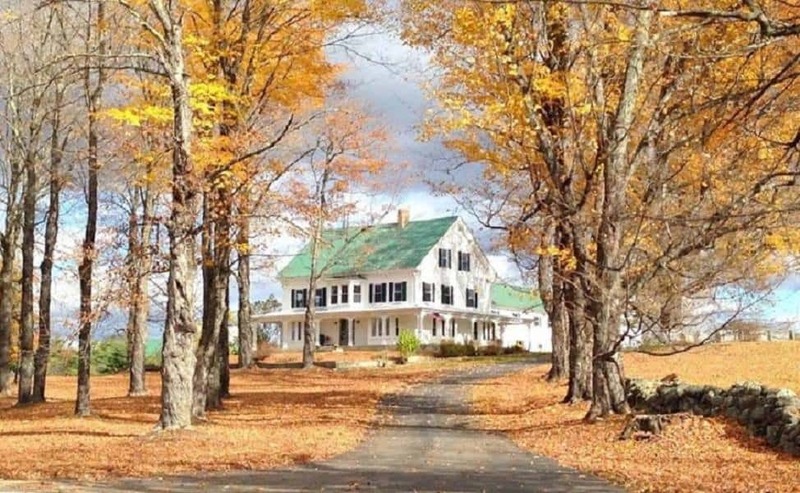 The Inn sits high atop Pinnacle Mountain in the Lake Region of West Paris, Maine, and has 52 acres of wooded and open land. The vistas are breathtakingly beautiful of the presidential mountain range, which includes the Western Maine Mountains, Appalachian Mountains, the White Mountains of New Hampshire, and the Green Mountains of Vermont. Mount Washington is visible from most rooms in the Inn. Just minutes from downtown Portland, the JCA is a beautiful new building completed in early 2017. 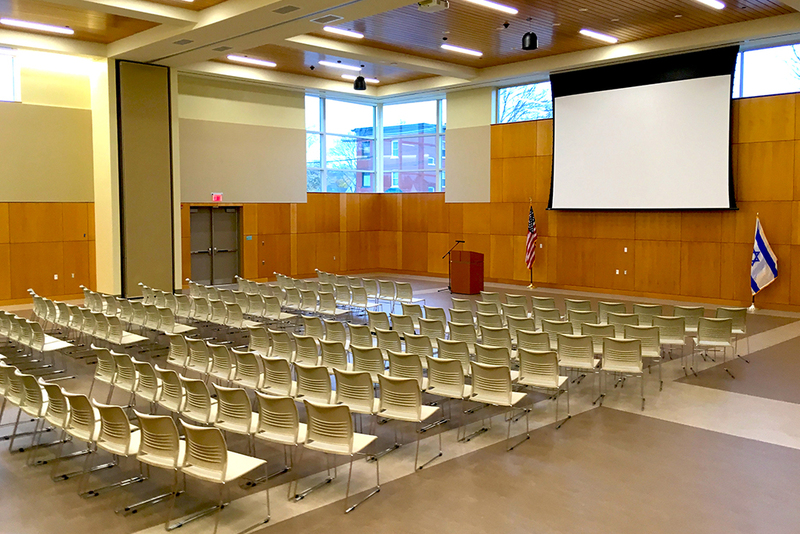 Easily accessible from routes 295 and 95, the JCA offers warm, modern and welcoming spaces to accommodate gatherings and events of every size. For meetings, performances, birthday parties, panel discussions and lectures, we have a space for you event! Available spaces include the The Sam L. Cohen Community Hall, The Albert Glickman boardroom, The Moser Family Library and the Great Lawn & Activity Space. Johnson Hall Museum and its stately Tea Room are available for weddings and other functions year round. Many of the museum’s antiques are available for our guests to enjoy; our century-old baby grand player piano still reels melodic tunes, and our antique cars and historic outbuildings provide unforgettable backdrops for wedding photos and other photographic sessions. Josias River Farm is a classic 250-year-old Maine farm situated on 20 scenic acres of forests, open fields, pastures and an apple orchard. Stone walls, rail fences and perennial beds surround the original antique cape and rustic New England barn in this relaxed country setting. Josias River Farm offers for your special event a beautiful open field perfect for any size tent, and a barn for cocktails, dancing and intimate dinners. King’s Hill Inn is completely restored with the same peace and tranquility the farm had 200 years ago. Awaken to the sounds of birds greeting a new day, walk the nature trails & garden paths, or just sit and enjoy the beautiful White Mountain sunset from the back yard or your own personal deck. Located on beautiful Panther Pond, Kingsley Pines is a breathtaking setting for weddings during the spring and fall. Kingsley Pines is a truly unique private facility allowing you to create a custom wedding or corporate outing. The extensive campus features expansive sandy waterfront, multiple grass playing fields, and traditional cabins and lodges to accommodate groups of all sizes. Kingsley Pines welcomes one group at a time, and availability is limited. Rustic Elegance at it’s best! Consider southern Maine’s coastal gem, the Wells Reserve at Laudholm. Make a little history of your own on a property listed on the National Register of Historic Places. 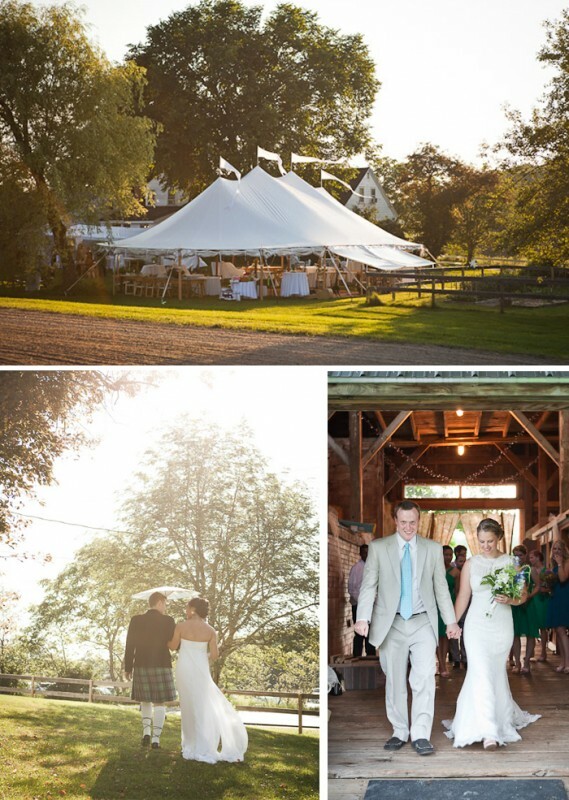 Host your wedding and recepion or other event on the expansive lawns of Laudholm Farm, which includes an auditorium with plenty of catering workspace and a full kitchen, and one of southern Maine’s most beautifully restored barns. 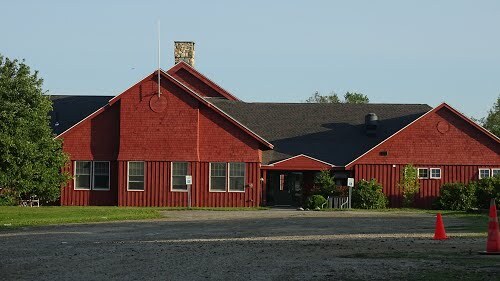 Bailey Island Library Hall is an architectural delight, situated on the hill across from Mackerel Cove on Bailey Island. The hall is available to rent for many occasions, such as weddings, receptions and meetings. The lower level, which is handicapped accessible, can accommodate up to 200 people with the option of round tables elegantly set for eight places. The lower level allows plenty of room for mingling and dancing. Smaller rooms off the main sanctuary provide ample space for preparation and storage. 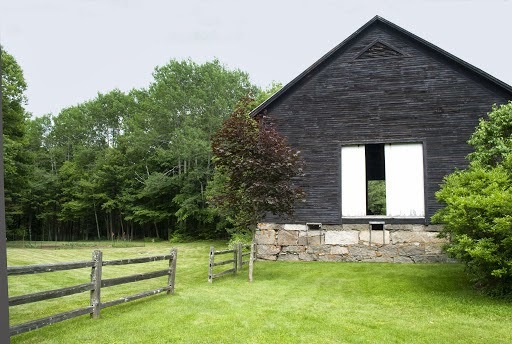 Maine Barn wedding venue with original Farmhouse and hundred year old Apple orchard. Nestled in the small town of Parsonsfield. 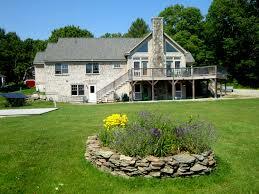 Nestled on the banks of the Sheepscot River near historic Wiscasset is Marianmade Farm. As a working lavender and flower farm, the setting brings a piece of Provence to mid-coast Maine. Owner & designer, Michelle Peele, uses her farm fresh florals to create simple and unique floral designs. The farm hosts a select number of weddings and events each year. 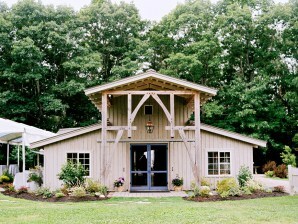 With a waterfront outdoor ceremony site, a timber frame event barn, and acres of natural beauty, Marianmade Farm serves as the perfect backdrop for your celebration. 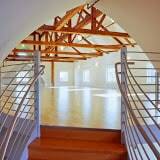 Mayo Street Arts is available to rent for your next class, meeting, party, performance, wedding, reception, or workshop. Beer, wine, and other refreshments is offered during performances and events. 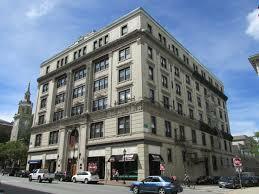 Ample parking is available on Mayo, Boyd, and Oxford Streets, and the surrounding neighborhood. Non-profit rates are available. The garden may be rented for functions and is a particularly lovely setting for weddings, wedding receptions, anniversary parties, etc. The Moffatt-Ladd Warehouse is now available for rentals, including weddings, cocktail and other parties, meetings, lectures, and presentations. The building can accommodate up to 90 people standing and approximately 50 people seated. There is also a state-of-the-art AV equipment that can accommodate your presentation needs. Nestled in the north woods of Maine on four scenic acres overlooking Rangeley Lake, Mountain Star Estate is fully equipped to fullfill all of your wedding and event needs. 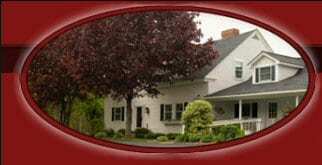 The estate house offers lodging for up to 36 guests. The barn offers seating for up to 200 guests. The property offers breathtaking views of Rangeley Lake in a rustic and industrial barn setting. Blue Elephant Events and Catering is excited to announce a new exclusive relationship with Ocean Gate Resort in Boothbay Harbor! After catering at Ocean Gate in 2008, we are thrilled to join Blue Elephant with this spectacular venue. Ocean Gate offers a secluded waterfront gazebo for wedding ceremonies and a comfortable reception area with both indoor and outdoor areas for your guests to gather.The resort is situated on 45 acres overlooking the Atlantic Ocean, and the resort includes 8 buildings that house 66 guest rooms many of which offer stunning ocean views. Recreational opportunities include an outdoor heated swimming pool, fitness room, miniature golf course, a stocked fishing pond, hiking trails, children’s playground, and tennis and basketball courts. A private dock is home to canoes, kayaks and row boats. Ocean Gate Resort is open May through October, and is located 2.5 miles from downtown Boothbay Harbor. Blue Elephant Events and Catering is thrilled to announce its new relationship with Ocean Gateway in downtown Portland, Maine! Designed to resemble the prow of a ship, Ocean Gateway reaches into Casco Bay and welcomes Portland’s cruise ship visitorsmand provides breathtaking event space for private rentals. Conveniently located near Portland’s Old Port neighborhood, Ocean Gateway offers elegant event space and panoramic views of Casco Bay and its islands for wedding receptions, corporate events, and other private functions. We are excited to offer this venue to our clients – give us a call for more information! One Longfellow Square offers competitive rates and excellent services for all kinds of rental events.The room is very versatile and can be easily converted from a professional 200 seat capacity performance theatre to an open hardwood floor auditorium suitable for dances, films, meetings, or parties. 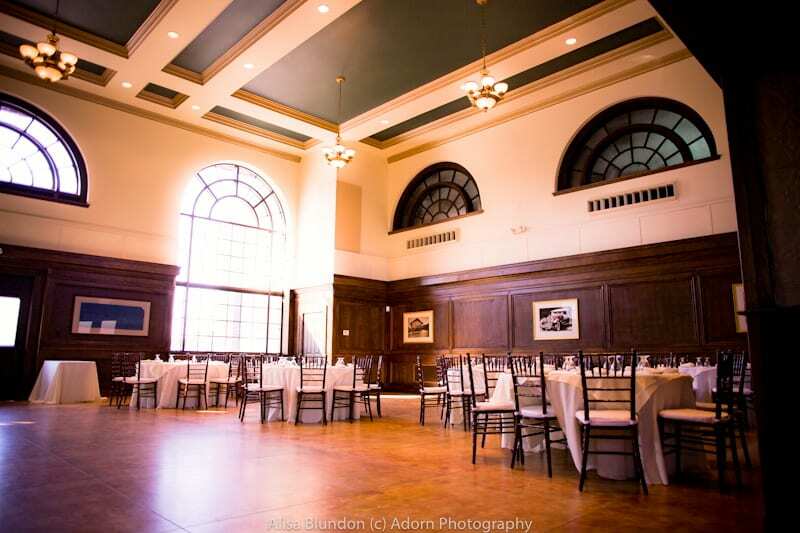 One Longfellow Square is also a beautiful space for an intimate wedding, bearing in mind that additional furniture reduces the capacity to about 90 people. 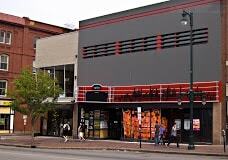 Located in the heart of Portland’s bustling arts district, Port City Music Hall is a state-of-the-art music and events venue. The spacious three-story space offers a modern, contemporary, and unique location for private events, corporate functions, weddings, after-parties, and fundraisers. Event space is available on one, two, or three floors, depending on the scope of your function. 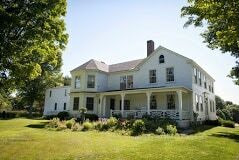 The Homestead at Rest & Be Thankful Farm is a classic New England 18th century working farm in Lyman, Maine offering 65 private and peaceful acres for your special event. A truly bucolic setting, the Homestead features rolling pastures, an heirloom orchard, and perennial gardens ready to accommodate an array of wedding ceremony and reception needs. 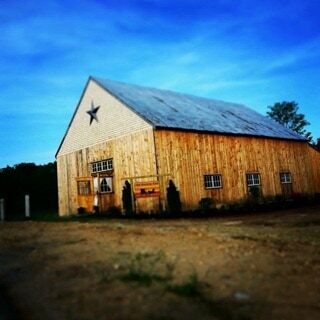 For more intimate affairs, the antique barn is delightful for cocktails, dancing, and rehearsal dinners. 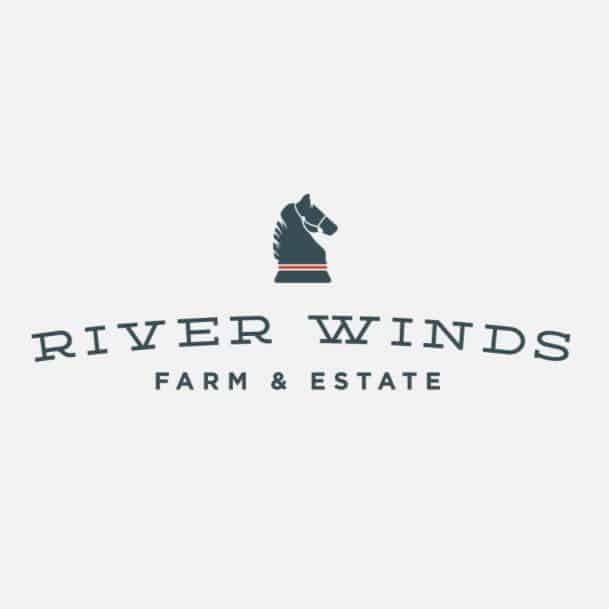 River Winds Farm & Estate is a family-owned and operated farm conveniently located in Saco, Maine. Weddings and events at River Winds Farm and Estate are created with each clients vision in mind. Their experienced Event Planner and her attention to detail can take your dream wedding or event and bring it to life. From our rustic barn to the picturesque views, River Winds Farm is the premier wedding and event venue. In addition to a 7-bedroom house, the estate also includes an outdoor swimming pool; indoor lap pool, work out room, large professional-grade kitchen and screened in porch, fire pit, and pond. From the moment you and your guests step inside the Royal Oak Room, you’ll instantly be taken back to a time of classic style and elegance. With dramatic twenty-one foot high ceilings, beautifully restored arched windows and original oak wall panels, this unique and historic space is sure to make a lasting impression. Are you looking for a unique and memorable backdrop for your business outing, family reunion, wedding, reception, or rehearsal dinner? Our Visitor Center and our open spaces around the Museum campus are available for your function and ample parking is available for your guests and shuttle buses. The large outdoor spaces that the Seashore Trolley Museum provide a great opportunity for your organization to hold an event of any size. Many organizations have called the Museum home for their event, whether it be an annual get-together or a celebration to share with everyone. 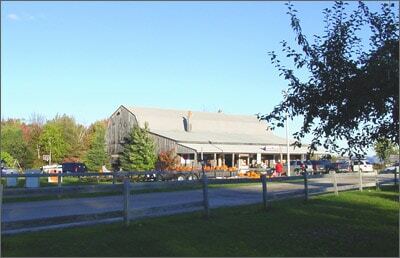 Just over 200 years old, Shady Lane Farm is a focal point in the historic district of New Gloucester, Maine. Its 60 plus acres of woods and walking paths adjoin other historic farms, making it a uniquely expansive and peaceful rural landscape. The grounds include a pond, gardens, a spacious lawn, open fields, and a rustic arbor. Ski Esta is a luxury rental home designed for large, extended family vacations located in the beautiful mountains of the Sunday River area of Maine. 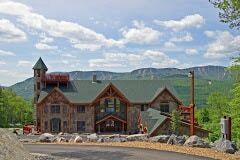 Whether you come to ski, snowmobile, hike, fish, mountain bike, golf or to enjoy any of the many year round activities this wonderful recreation destination has to offer, this home is the perfect place to experience it all while enjoying the many resort quality amenities that are offered. 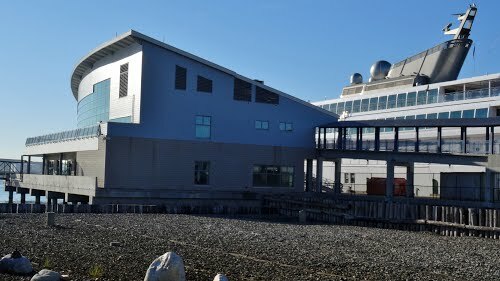 Southern Maine Community College has multiple functions spaces available for rent. 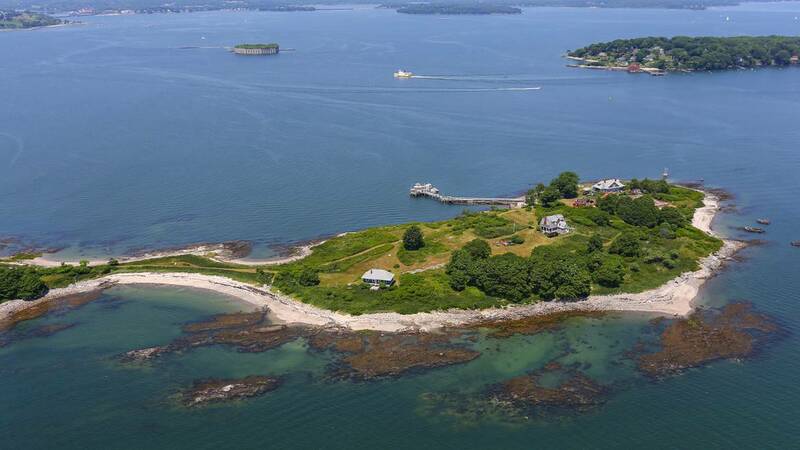 Spring Point and Casco Bay fields provide extraordinary access to the waterfront with stunning views of the islands of Casco Bay, including direct views of the area historic lighthouses and forts. These reception sites are quintessential Maine. The Fort Preble Bunker provides a stunning backdrop for Cliffside ceremonies, with panoramic views stretching from Portland Head Light to Spring Point Ledge Light. 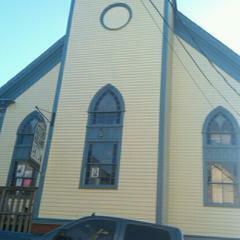 The All-Faiths Chapel is a very charming white clapboard building with church pews seating 40 people. At the front is an open altar space and a beautiful stained glass window. Contact SMCC for information on these and other spaces available for rent! 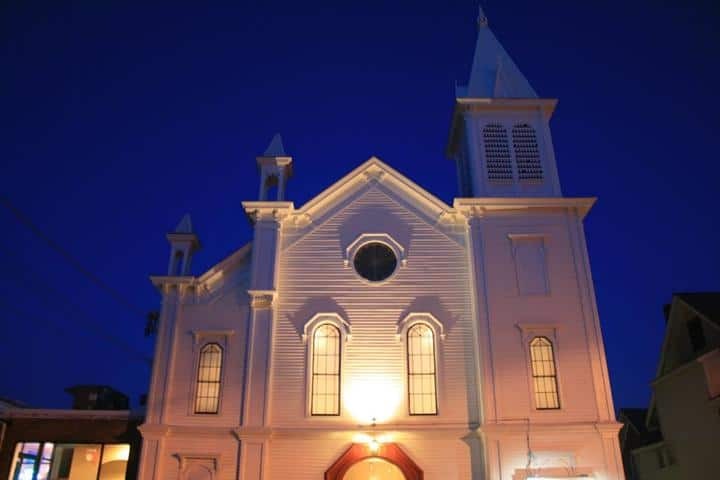 The former Methodist church on School Street in Gorham and formerly the Performing Arts Center has been transformed into Spire 29 on the Square. This beautifully crafted and intimate setting plays host to weddings, corporate and private events while offering a full concert schedule with regional, local and national talent as well as galas, seasonal dances and creative events. We’ll customize your event by tailoring the physical design to your vision and help to select the vendors that match your vision, personality and style from a virtual proven network of providers. The Trefethen-Evergreen Improvement Association is located on Peak’s Island. The entire club or just the senior lounge can be rented during the off season for events such as birthdays and weddings. The off season is the first three weekends of June, the last weekend of August, all weekends in September and the first weekend in October. Wedding ceremonies can be held in the club, on the deck or on the lawn if desired. The club kitchen is available for food preparation. 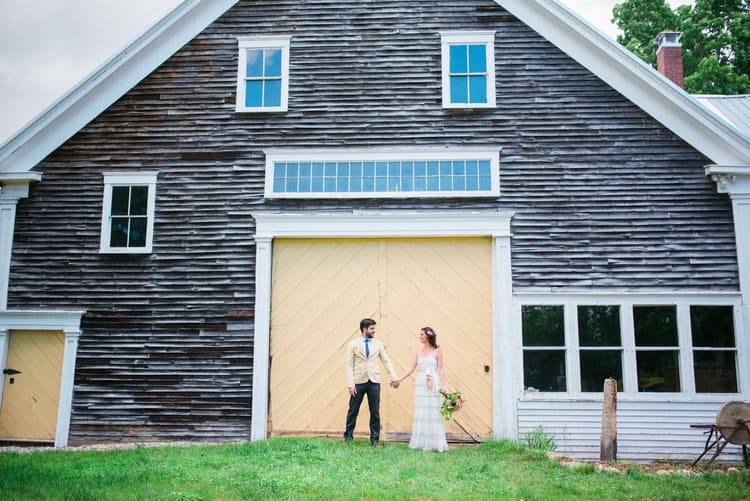 The Barn at Silver Oaks Estate is a Distinctly Different wedding venue located in the Winthrop Lakes Region, on the shores of Maranacook Lake, in Winthrop Maine. Perfect for romantic country weddings and special events. Every celebration is unique and individual. We pride ourselves in creating your perfect day, whether you dream of a lavish summer wedding enjoying the 10 acres of glorious gardens and grounds, or an intimate occasion beside a roaring fire pit on an Autumn afternoon. It is our philosophy to work alongside you, creating your idyllic celebration. 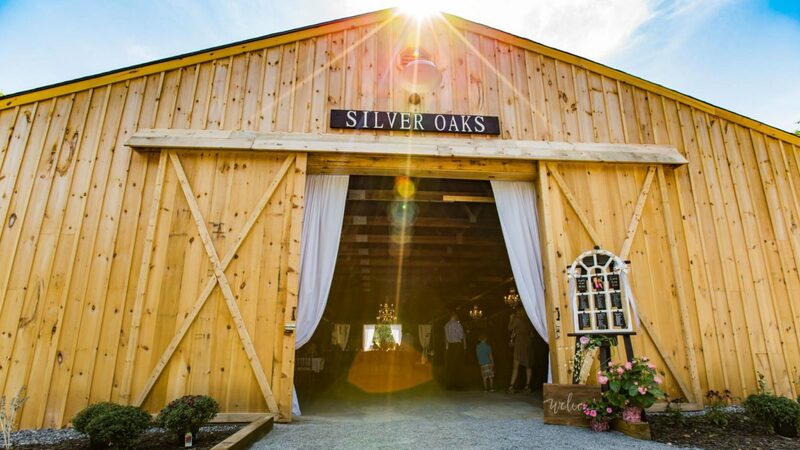 We look forward to welcoming you to The Barn at Silver Oaks Estate for indoor or outdoor events, or both! This secluded Colonial Revival Garden is an urban oasis in the heart of downtown Portland. This lovely space features a small entertainment area and meandering pathways. The space is perfect for intimate weddings, seating 25 guests comfortably. 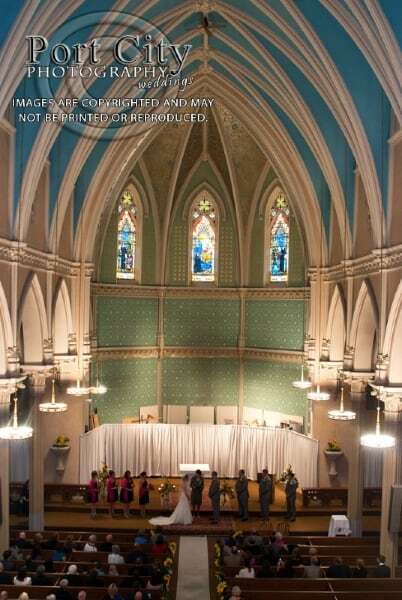 It is also available for receptions, bridal or baby showers and cocktail parties or to serve as the backdrop for your wedding or engagement photos, class photos or professional stills. Located on the harbor in South Freeport, Maine, less than 30 minutes from the Portland airport, you’ll find the quintessential “Downeast” Maine experience typically only found much further north and The Maine Boathouse Cottages. 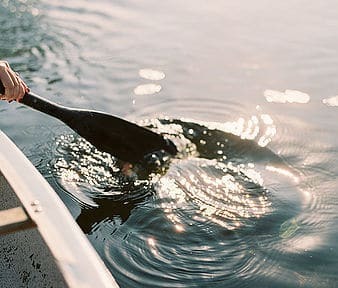 Situated over the picturesque Harraseeket River which flows into Casco Bay, The Maine Boathouse Cottages, “Heron” and “Osprey” have been newly appointed and together accommodate up to 10 guests. Unique to any other property on the coast of Maine, The Maine Boathouse Cottages are now available as luxury rentals or for special events. Blue Elephant Events and Catering is proud to be the exclusive event planner and caterer for The Portland Masonic! 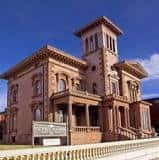 The Masonic is a fantastic building located at 415 Congress Street, and features multiple rooms on several floors for your next special event. Built in 1911, the Temple features original artwork, furniture, stained glass, and original marble accents throughout. Blue Elephant also provides tables, chiavari ballroom chairs, china and flatware and a variety of props and other pieces from our Trunk inventory for your event. 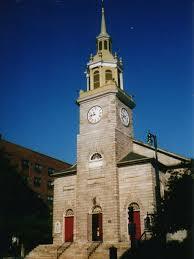 We very much look forward to working with you on your next special event at The Portland Masonic! Contact Blue Elephant Events and Catering at 207.281.3070 for more information. 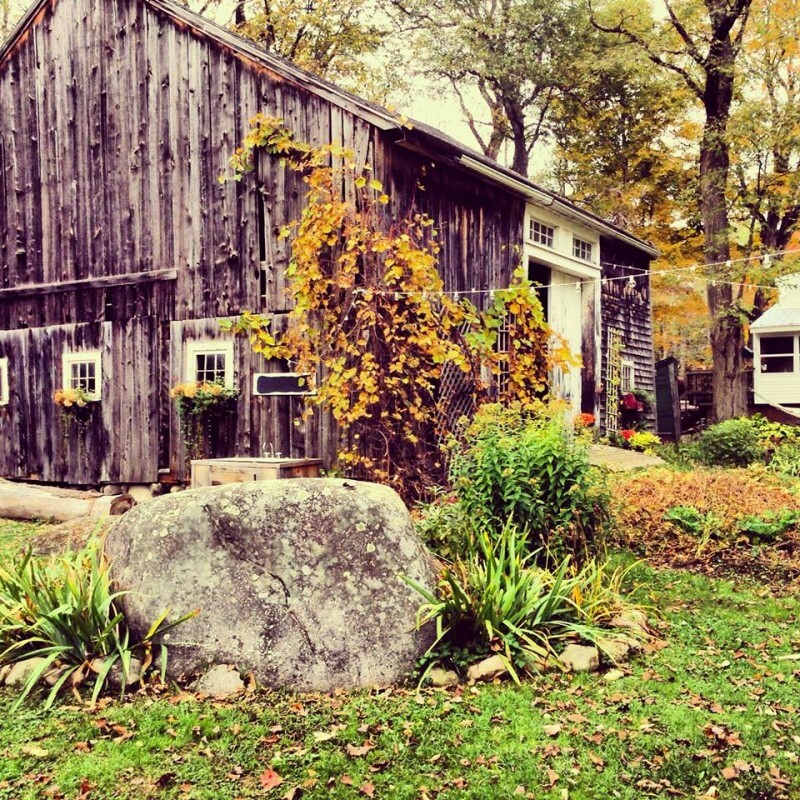 The Stone Barn is situated on an 18-acre organic crop and livestock farm on Saint Joseph’s College’s 474-acre campus in Standish, Maine. Following its deep commitment to sustainability, wellness, and the local economy, the College completed renovation of its historic barn—part of the property’s original Verrill estate—in June of 2016 and began offering it as a premier event destination in the region. When it’s not hosting weddings or corporate events, you may find entrepreneurs and agricultural and food system policy makers gathered there. The Stone Barn and its courtyard accommodate up to 250 guests from mid-May through early November, and spills out onto pastureland for the farm’s sheep. A lighted trail across the street leads to more college facilities including a chapel and swimming and boating opportunities on the shoreline of Sebago Lake. For 100 years, Thompson’s Orchard has been a family-owned and operated apple orchard and farm. 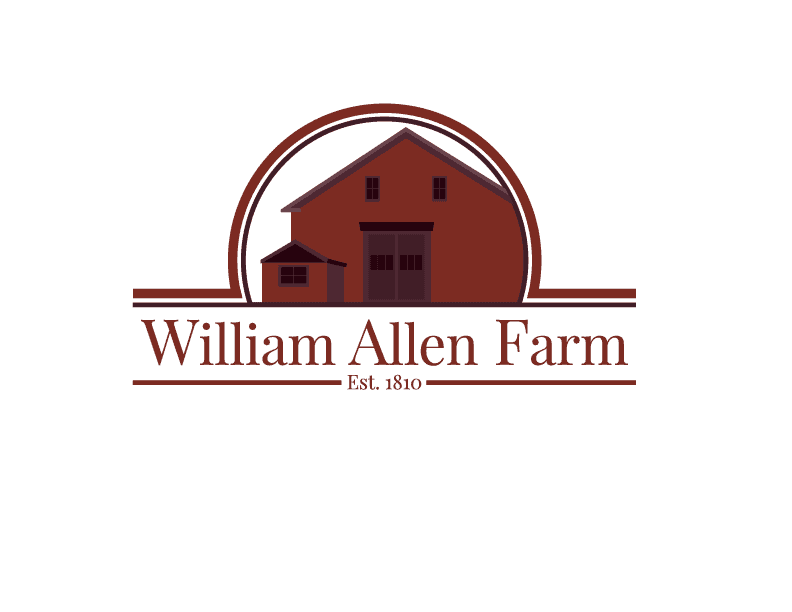 With over 200 acres, the farm is packed with home-grown fruits, local vegetables, apple trees, and a sizeable gazebo that is available for weddings, family gatherings, kids parties, graduation parties, and business outings. Thompson’s Point will soon become an iconic symbol of what we all know about living in Maine: with vision and independent spirit anything is possible! Blue Elephant is excited to be working with with one of Portland’s most spectacular examples of pre-Civil War era residential architecture: Victoria Mansion. 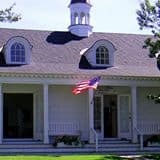 This spectacular former home (featuring extraordinary well-preserved interiors and furnishings) and surrounding lawns offer an elegant setting for corporate and private parties, and self-guided tours for your guests are included as part of the rental. 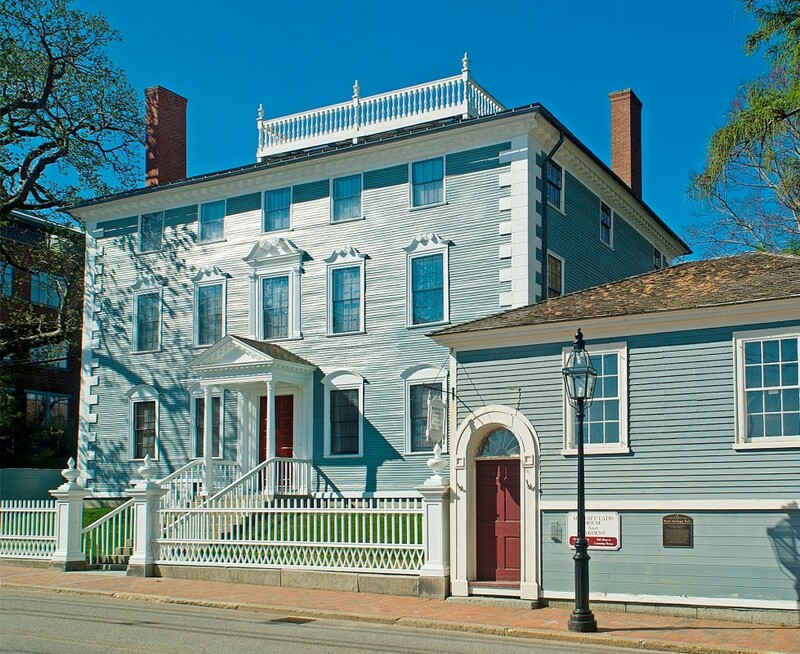 Conveniently located in Portland’s Old Port, Victoria Mansion offers a unique and memorable experience for you and your guests. Blue Elephant Events and Catering is proud to be the exclusive caterer for Victoria Mansion! Elegant New England barn set on sixty + acres just minutes from Maine’s coast. 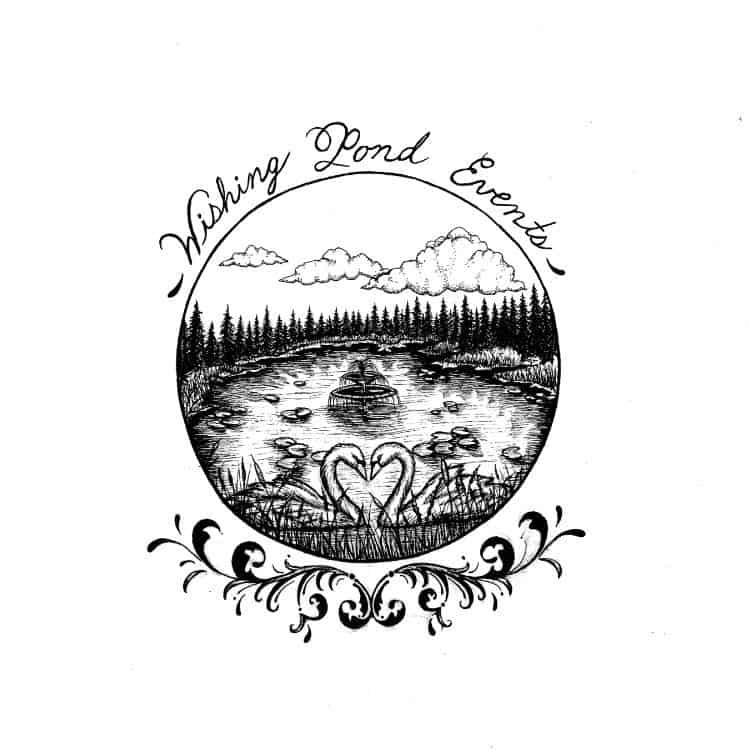 Wishing Pond Events, a family owned and operated business, is a brand new venue built from locally sourced lumber that sets a rustic tone. Looking over a 4 acre private pond in Dayton, Maine; you get the taste of the woods while being only 15 minutes away from the ocean and minutes away from Portland. Book your event in this private intimate setting to use this canvas to create your memories.